Ok so naked heat is defiantly the eyeshadow palette of the summer. I have been pretty much obsessed with it since the first photos/videos were released and I have been needing to buy it since. If you haven't heard about the palette by now then you must be living under a rock because the blogging community as well as the whole make up community have been going wild for it with photos pooping up of it everywhere! 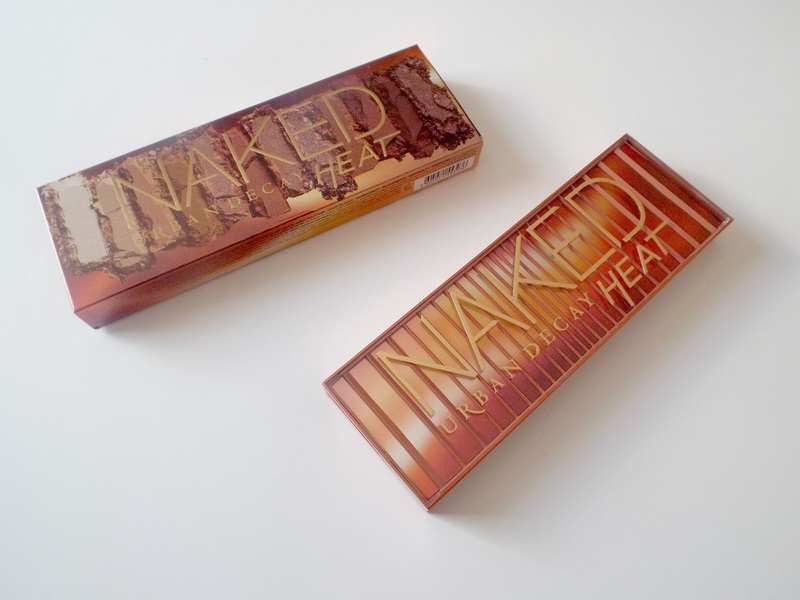 Urban decay are basically known for their high end, high quality products that are both wonderfully great quality but exciting and new. So when they revealed they were releasing the new warm toned and well pigmented eyeshadow palette as part of their naked collection I went crazy. I love a good orange and rose gold shade, and yes I might already have a load of different urban decay palettes that I love a tone but this one honestly gives me life. 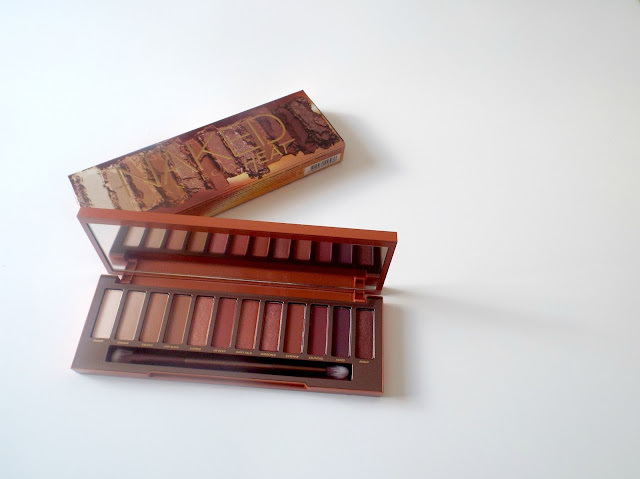 The palette consists of 12 shades just like the other naked palettes. It also comes with both matte and shimmer finishes, ranging from light to dark shades. from creams to oranges, rose golds and browns. I've had it for a week or so now and I've been in love with it from day one. Let me start off by saying Urban decay have always been my go to brand for anything make up wise. So I can pretty much say I am very impressed with the palette. This one just like the rest is amazingly pigmented, so easy to blend and is picked up on the tip of my brush from one swipe. It's almost effortless, just a little blending and you can create the look you want. I like to use my palettes for everyday use as well as basic looks for work I do like a crazy and bold eye look so for me the shades such as chaser (because it looks like my skin) adding a shade like low blow (for the crease) is my favourite thing at the moment because it is so simple for everyday and so cute. I have not of yet used the two darkest shades so I am really ready to put those on my lids and see what comes of them. I'm also just wondering how much fall out the darker shades will give me, which I am sure to try out soon. Over all though I am actually full on in love with the palette, from the packaging to the shades and the brush that comes with it. 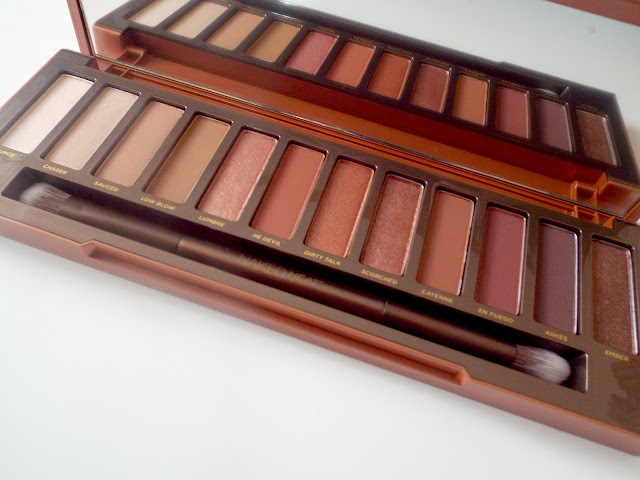 I do know that for some the price can not be justified and if I'm honest for me most of my make up is an investment, or gifts and this one my dad actually has shares in (thanks dad) but the urban decay eyeshadow palettes are totally worth every penny, and you can find it HERE.